Protecting sensitive and private patient data is essential to remain compliant in today's data-driven world. 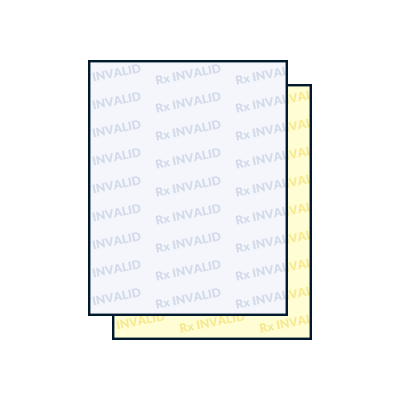 In addition to secure electronic medical records and high-tech security systems, doctors offices and pharmacies must protect valuable patient information on handwritten prescription notes as well. Not to mention, prescription pads are priceless and must remain in a doctor's control at all times to mitigate insurance fraud, avoid illegal drug use keep every healthcare professional's reputation intact. Kan’t Kopy Prescription Paper from Blanks/USA is the smart choice for healthcare professionals who write on and share prescription paper with patients, colleagues and pharmacies. 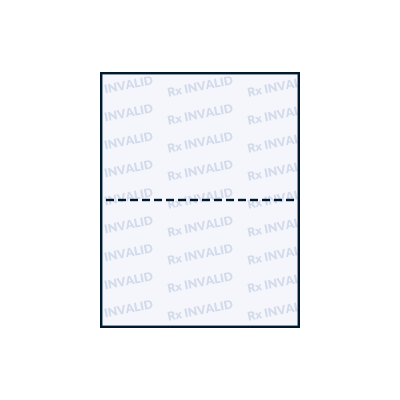 Our anti-counterfeit paper uses pantograph technology to embed a hidden message that only appears when your prescription paper is tampered with by unauthorized users. 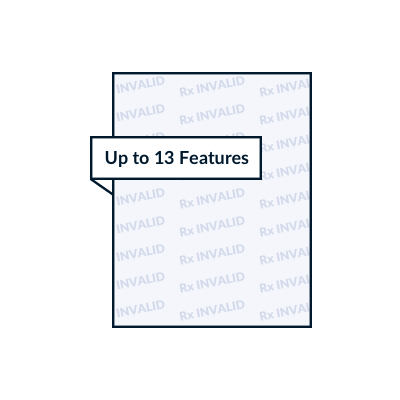 Once the prescription paper is copied or scanned, the word "Rx INVALID" will suddenly appear throughout the copied document, ensuring the replicated prescription paper can't be used.